and download brochures, maps etc. The Hotel Union of Messinia provides up to date information on the hotels of the region. The information provided is only in Greek. 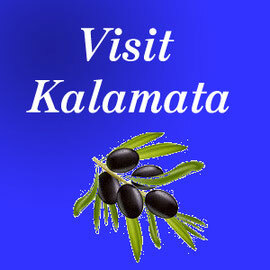 Learn everything you want to know about the world famous Kalamata Olives and Olive oil and other related products. Click here to visit the site of the Union of Agricultural Cooperatives of Messinia. 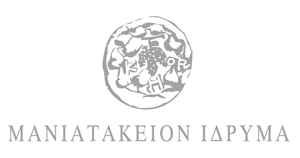 The Greek Foundation is an organization for Greek culture in a global world. It acts as a platform for the exchange and diffusion of Greek culture worldwide by promoting cultural production through all forms of creative expression, connecting artists to the world and providing new visionary perspectives. It aims, through all its activities, to explore and redefine the Greekness of things and be a global destination for Greek culture. WE.COME is a project that aims at promoting transnational cultural itineraries based on the "Park and Gardens" route and on the route of the "Olive Oil", both already recognized "cultural routes" by the Council of Europe. Click here to find out more about their programme in South Peloponnese and Messinia. Κύριος σκοπός του Ιδρύµατος είναι η συστηµατική ανάδειξη της ιστορικής και πολιτιστικής παρουσίας της Μεσσηνιακής Καστροπολιτείας στη διαχρονική πορεία του Ελληνισµού και ο εντοπισμός, η ανάδειξη και η διεθνοποίηση των συγκριτικών πλεονεκτημάτων περιοχών της Ελληνικής περιφέρειας μέσα από τρεις πυλώνες δράσεων: πολιτιστικές, αναπτυξιακές και κοινωνικές.